The game started off similar to the week before with 3 points from an infringement! Pewsey used this to build some strong passages of play. Warminster weathered the storm and were rewarded when their unbreakable defence forced the visitors to commit a penalty. Warminster cleared their lines through scrum half Jimmy Rees who with a little help from a bounce found touch in Pewsey Vales half! From the line out, quick ball off the top found its way to fly half Gav Pratt who got the ball going across the backs. Centre Jake Havery played a looping miss pass out to winger Ross Williams who travelled well before passing to supporting Full back Tom Evans. Evans managed to evade the challenge with a great step and change of pace to make it under the posts. Centre Jason Sprangle converted the extras. Warminster had only had the ball for a few minutes and found them self’s leading. Another try soon followed this time Pratt creating the space for Williams to burst through and score. Sprangle getting the extras. Pewsey hit back with a converted score from the strong running back row, after a midfield break from their backs. Evans scored his second before half time. A turn over from the hosts found its ways to Ollie Pinnell who managed to pass the ball to Evans who exploited the gaps in defence to run in from half way. 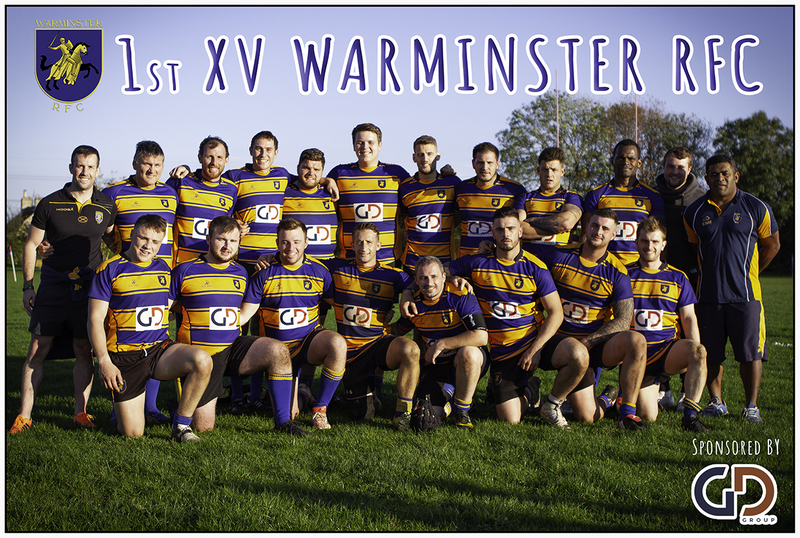 Warminster went into the half 21-10 up. The second half began in favour of Pewsey Vale, they hit back instantly from the restart with some strong direct running breaking tackles in what had been a strong amber and blue defence, resulting a short distance score! Unfortunately the conversion was missed. Now the visitors tails were up so, attack upon attack was being thrown at the home side who eventually began to show gaps in the defence. This was exploited again when a short distance strong run was scored under the posts. Surprisingly the simple conversion was missed by the nervous kicker with Evans working hard to charge down the attempt. Warminster now with their back against the wall couldn’t seem to find their composure and simple handling errors and individual mistakes seemed to hand Pewsey the victory and a great platform to attack! eventually resulting in a the home side infringing and conceding a penalty directly in-front of the posts. This time the kicker took his time and slotted the 3 points! Pewsey Vale now had a 2 point lead with under 10 minutes to go! With Pewsey controlling the game and Warminster making so many mistakes Warminster found themselves defending their try line a few metres out as Pewsey Vale had the put in to the scrum. But the pack wouldn’t give up and put every last ounce of strength in to the scrums in an attempt to keep the visitors away. After several re sets the determination paid over and a final Warminster push saw the ball at turned over to the Warminster side of the scrum, where Rees was able to clear the lines into touch. Not a comfortable but safe and the amber and blues could re group with under 5 minutes on the clock. A good challenge to Pewsey Vale’s line out saw a Warminster forward scooping up the ball and giving Warminster quick ball to exploit the visitors now unorganised defence, Pratt was able to ship the ball down the line until it found Williams on a 1 on 1 out wide, Williams used his electric pace to skin his opposite man and race away from the back pedalling defenders to score under the post for an easy Sprangle conversion. Now back in the lead and you could feel the buzz around Folly Lane with all the supporters cheering on the amber and blues. as you can imagine the heads of the Pewsey Vale players were most definitely dropped as little as 2 minutes earlier they were attacking Warminster 5 metres out with a scrum to seal the victory to be down five points. In the last 5 minutes Warminster’s fitness was evident, with onslaughts of attack. Some clever kicking from Rees and Pratt saw Warminster pin back the visitors deep in their own half and putting pressure on what seemed to be a weak line out in the final stages of the game. A poor exit saw the flying Evans with ball in hand again and he began to charge back in to the visitors half. After being tackled well, quick ball saw a some strong carries from the forwards keeping the tiring visitors on the back foot, before stand in skipper Alex Jenkins noticing some space straight ahead pick the ball up from the base of the ruck and barrelled over for the score what was surely the winning score in front of the delighted Vice Presidents on the balcony. Sprangle missed the extras, but it mattered not as the whistle was blown to end the game. A game where Pewsey Vale can count themselves unlucky to come away with no points as the performance they put in was deserving. Warminster however, demonstrated some strong defence throughout the game, yes at times it was breached but that was after some long passages of play. The heart and desire for the amber and blues in the final moments of the game to dig in on their own 5 metre line defending a scrum and down on the score board to winning the game was immense. When the backs had the ball in hand they looked destructive and dangerous. Lots to learn as always but a bonus point win none the less. ‘We have that winning feeling now and proved to our selfs we can come from behind to win games’ commented club captain Rees. The forwards were tested during the game and in the last quarter the amber and blues pack were more than up for the challenge with returning Dean Preistman and Dan Woods fitting straight back into the team. Dan Bagshaw-Wickett impressed again with some strong carries. Kieron Plummer also came off the bench and made a positive impact at flanker! ‘It was also good to see the depth we have in the squad’ said Rees with Ryan North, Tom Hindley and Jake Havery all making their 1st XV debuts for the club. Warminster will be slightly worried as 1st XV skipper Steve Rowbotham came off injured early in the second half! 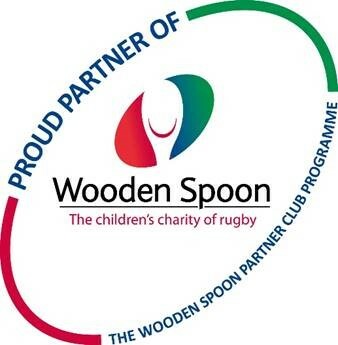 1st XV have a rest this week, but the 2nd XV will be in cup action as they host Dorchester 2nd XV. This will be another good test for the seconds as Dorchester play in the league above!